If you are running a Nonprofit organisation which strives to help people across the globe who don’t have access to clean drinking water or they live in unsanitary conditions amidst poverty. 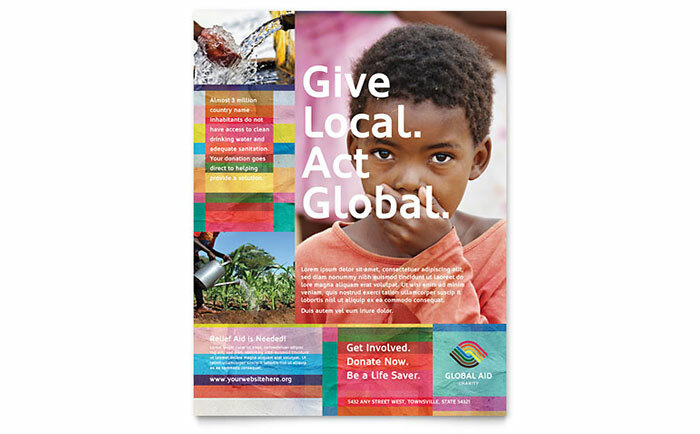 Then this perhaps the best flyer you can use to generate funds for your work. 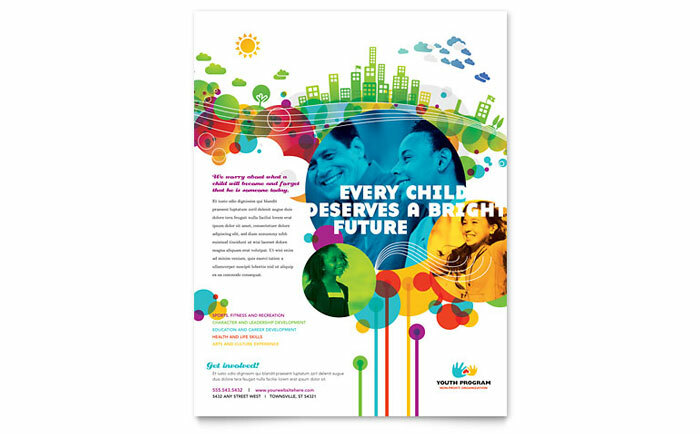 It is simple and colourful and gives out a strong message. For those who are running a Nonprofit Rehab Center, this flyer is going to be of great help. It’s attractive colour combination catches the eye immediately and appeals to public about the good work that you have been doing. You can give quite a lot of information about your Center and help a lot of people who are trying to fight addiction. 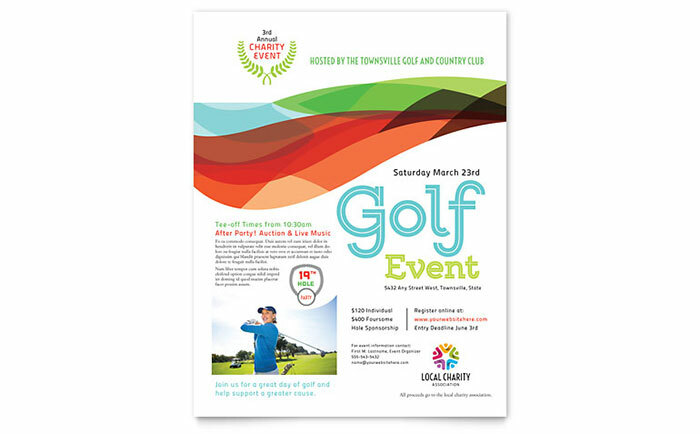 If your Nonprofit Organisation plans to hold a Charity Golf Event, then this flyer is going to be of great use. There is nothing like getting people together to have some fun and raise money for the needy at the same time. The design is colourful and very attractive. All information that is required to be provided to the local public is neatly spaced out on the flyer and that makes your work very easy. 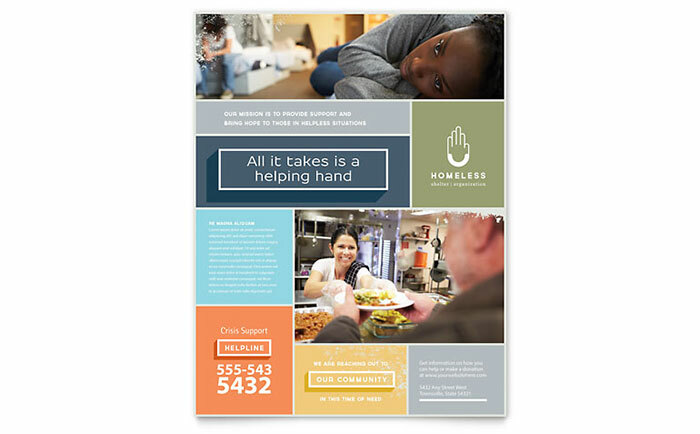 If you are running a Nonprofit Homeless Shelter and want to create more awareness about your Center so that more people come forward to lend a helping hand, then this flyer can aid you in doing so. 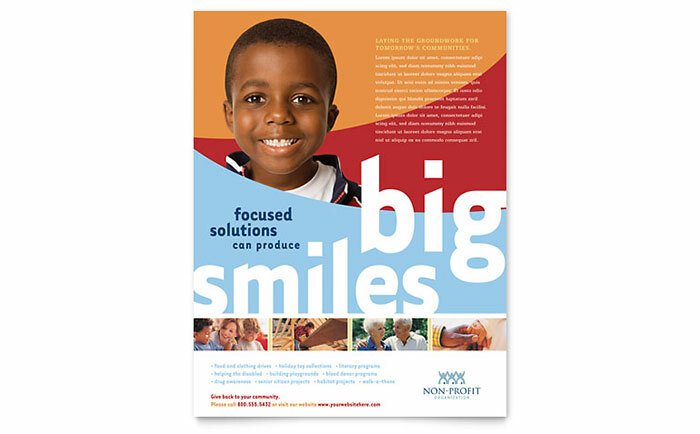 It has an appealing look and encourages the reader to step forward and help with a smile. The multicolour background is also very attractive. For those running a Nonprofit Youth Program, this flyer will help you in telling everyone what your work is all about, and it will do so very effectively. The bright colours give a very positive vibe and will encourage more and more people to get help and also come forward to offer help. 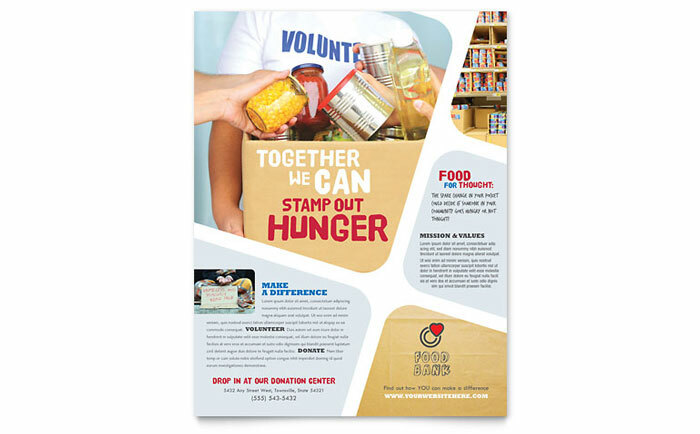 If you are looking for volunteers and donations for running your Nonprofit Food Bank, then use this flyer to spread the word in your local community. It is a very simple flyer with a genuine sense of appeal to the reader. The colour combination is on the less-bright side and that augments the simple look of the flyer. 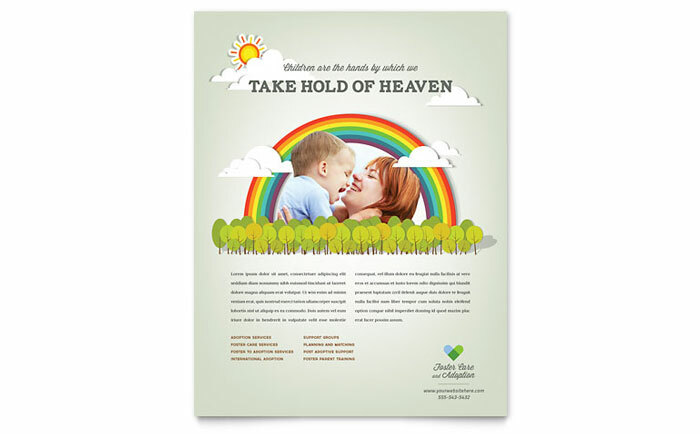 Those running a Foster Care and Adoption Nonprofit can benefit from this flyer for spreading the word around. 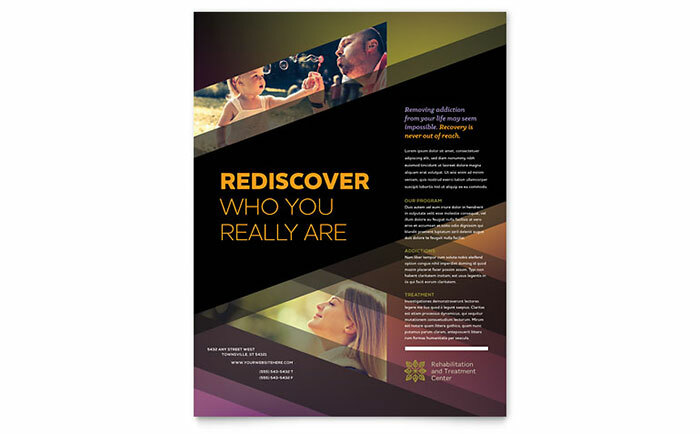 Creating interest among people for fostering is not easy and a flyer that tugs at someone’s heartstrings is just what you need to encourage people to come forward. This flyer does just that. 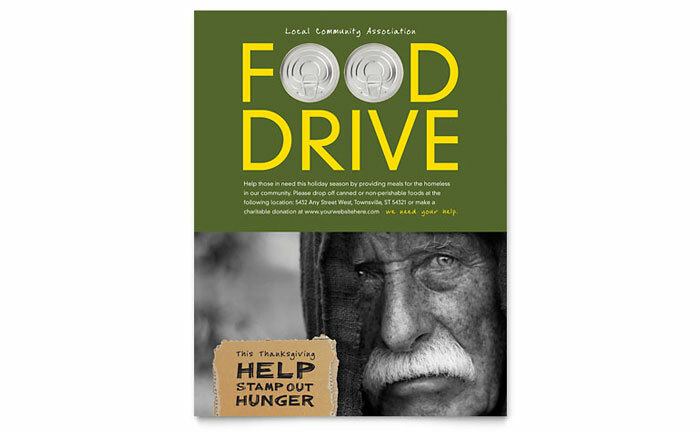 People are usually in a generous mood during the holiday season, so it very apt that you try to steer that factor in a positive direction for your Nonprofit that takes care of the homeless by aggregating food for them. This flyer will tell people to do just that and their selfless vibes will get an avenue to flow in the right direction when they read information about your efforts on the flyer. We all need warm clothes in winters. For those who cannot afford them, help is at hand when a Nonprofit Organisation takes up a cudgel for that cause. 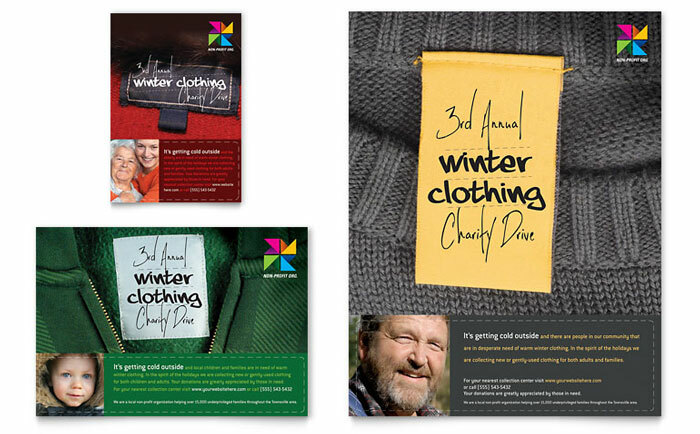 For those who are running such a drive for collecting warm clothes for children or grown-ups, these flyer templates can be immensely beneficial. Their colourful designs will surely enhance the spirit of giving in the holidays. For those who are engaged in community building Nonprofits, this flyer can help a lot as it gives a very clear and simple message in a very bright, energetic and optimistic way. The graphics are very apt for the sense of appeal that needs to be generated for creating an overall awareness of the various noble activities that you organize and run. Surely, donations should be forthcoming after distributing this flyer. 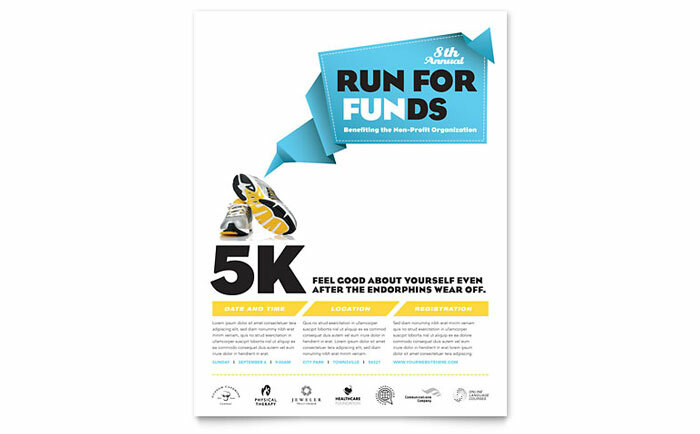 For those looking to organize a charity run for raising funds, here is the best flyer that you could possibly need for creating awareness. The look is very vibrant and positive and will surely encourage the reader to come forward and participate for a noble cause. The details can be given very precisely for the run and you can expect a huge turnout with the help of this flyer.